I’ve been silent up until now about the Samsung Galaxy phones catching on fire. At first I felt badly for the employees. Can you even imagine being in the room when the CEO found out about this? It must have been a dreadful couple of months for everyone there. In case you need more convincing of how bad this really was, Tom Merritt on the Daily Tech News Show did a bit of research and came up with a good way to understand it. Chemical and Engineering News in 2013 cited the failure rate of Lithium ion batteries at one in 10 million cells. Samsung shipped approximately 1 million Note 7s in the US alone and received 96 reports of phones overheating. That’s 960 times as many as the average. So nearly a THOUSAND times more likely to catch on fire than any other lithium ion battery. While that makes me feel better about how many batteries we use in our day to day lives, it does shine a light on how dangerous these Samsung really phones are.In engineering and manufacturing, there’s a very simple concept called Root Cause Analysis. Where I worked, you didn’t just fling out solutions to problems. You dug back and back and back until you could prove what the root cause was and until you could empirically prove that it was the cause, you didn’t even start working on the solution. According to a New York Times article on October 11th, Samsung, despite it’s best attempts, has not determined why the Galaxy Note 7 keeps catching on fire. They were unable to replicate the fires, but they shipped out replacement phones anyway. 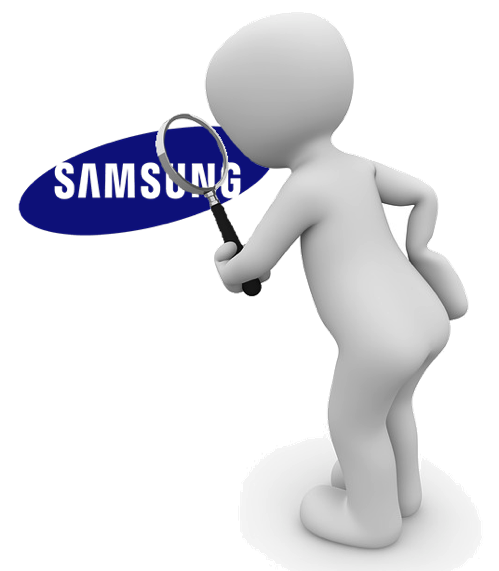 Samsung showed an utter lack of good engineering and manufacturing quality processes in fixing this problem. And I’m not surprised. I had my own personal interaction with Samsung in 2005. I told this story on the NosillaCast way back then, but if you haven’t been listening for 11 years, you may not have heard it before. My friend Diane wanted to buy a great present for my daughter Lindsay for her high school graduation. She decided to buy her one of the new fancy LCD monitors. She asked me to pick it out and she’d pay me back. I chose a 19″ Samsung LCD and bought it through NewEgg in June of 2005. On graduation, Diane gave Lindsay the monitor and she was thrilled. It was thin and sleek and gorgeous. And two days later the color started to shift to pink, then purple, then settled on a nice pale blue. Ok, so the monitor failed. This was disappointing, but stuff happens, you know? I wasn’t aggravated at all. I called up NewEgg who told me I had to call Samsung. That was a mark against NewEgg, but a lovely person answered at Samsung on the first ring. I explained the problem and they said they’d ship me a new monitor and in that box would be a return address label so I could ship the first one back. In a couple of weeks, the second monitor showed up. But guess what? There was no return shipping label included in the box for the broken monitor. We plugged in the new monitor, and in less than 2 hours, it died. So now I’ve got two dead monitors and no way to ship either of them back. I was about to leave on vacation so I sent customer service an email explaining the problem and of course including the ticket number. I didn’t get a response to my email but I did get a customer service survey call. You can bet we had an interesting conversation after which the woman assured me someone would call me. No one called. When I finally called Samsung myself, they told me that they couldn’t send me another monitor because I hadn’t shipped the first one back. Seriously. By this time, if I’m counting properly, this is the third person I’ve talked to about this problem. I’m going to fast forward through 2 months of misery, but let me summarize by saying that I made a total of 11 phone calls, spent 5-10 hours of my time on hold and talking to these people. I was even escalated up two management levels to “executive-level support”. I remember talking to one woman who cheerily told me she’d send me the labels. With no energy at all, I quietly said, “No you won’t.” She protested and asked why I said that. And I told her because the last 11 people said they would, and they didn’t. On September 4, 2005 (remember this started in June), I wrote a very firm, but polite letter to the President and CEO of Samsung America. This was a trick my father taught me, just go right to the top. It was only five paragraphs long (I was showing restraint) but I attached the detailed accounting of the dates, names of people I spoke to and transaction numbers, hoping that someone would call these people on the carpet for not doing their jobs. I explained that I still had two broken monitors and that I couldn’t get my money back because they wouldn’t send me the darn labels. And guess what response I got? Nothing. Nada. Zero. I continued to call and write to Samsung, and finally in late October, they sent me the labels. They told me it would take two weeks to get my check. On November 20th I called them again asking where my check was and they said they’d sent it. I asked for the address…only to find that they had misspelled the name of my street so I never got the check. I wasn’t the least bit surprised. Finally, two more weeks later, five full months after my purchase, I got the money back. Except they stiffed me for the $50 shipping, and told me I’d have to talk to NewEgg about that. As I said up front, I wasn’t mad that the first monitor failed. I wasn’t even that mad that the second one failed as well (though it did make me think about the quality of their products). What amazed and infuriated me was that more than a dozen people inside this company up to and including the CEO or whoever opened his mail, failed to do their jobs properly. That kind of widespread incompetence isn’t a string of bad luck, it’s a bad culture. I haven’t bought a Samsung product since 2005, and I highly doubt I ever will. I won’t buy Samsung devices for similar reasons. Here in Australia Samsung have sold over 144,000 top loading washing machines that have the potential to catch fire. If you think a mobile phone is dangerous try throwing away a washing machine! A recall has been out on these devices for many years but still fires are causing damage. And just like the mobile phone replacements, those that have been “fixed” still catch fire. You’re exactly right, it’s a bad culture. We just had to buy a new TV, I walked right past the Samsung models. Life is too short to deal with a company that doesn’t stand behind its products. You say you haven’t bought a Samsung product since 2005, yet the guts of many iOS devices (and Macs) are filled with Samsung components. True, Apple may have more clout to insist on quality than an individual customer, but part of what you’re encountering MAY (I’m not saying is) be entirely outside Samsung’s control or even influence. “Back in the day” many companies starting efforts to market goods outside their local home markets turned to distributors, and signed contracts essentially agreeing to deliver product at the pre-wholesale level. You mention NewEgg. After one, just one, absolutely horrible experience with returning a defective product purchased from NewEgg, I absolutely refuse to buy from there again. I even reviewed the product and my deplorable return experience on the Nosillacast. There’s no excusing whatever design error is immolating the Galaxy Note 7. I’d like to point out there used to be testing labs (UL) that actually tested. But don’t get in your car with Taketa airbags to go looking!